When you think of a classic Japanese actor, who is the first that comes to mind? Some might go for a modern pick, like Ken Watanabe from movies like “The Last Samurai,” “Inception” and Gareth Edward’s “Godzilla,” but most film buffs out there probably have a different actor in mind – Toshiro Mifune. For me, Mifune is the most intense yet passionate actor I can think of, both in and out of Japanese films. He often said so much without hardly saying anything, through body movement. Characters like Kikuchiyo and the bandit from “Rashomon” jumped around like they were always on caffeine, ready for the next piece of action. But then these characters could turn on a dime, taking that intensity and turning into a quiet calm that you think he’ll never break out of. 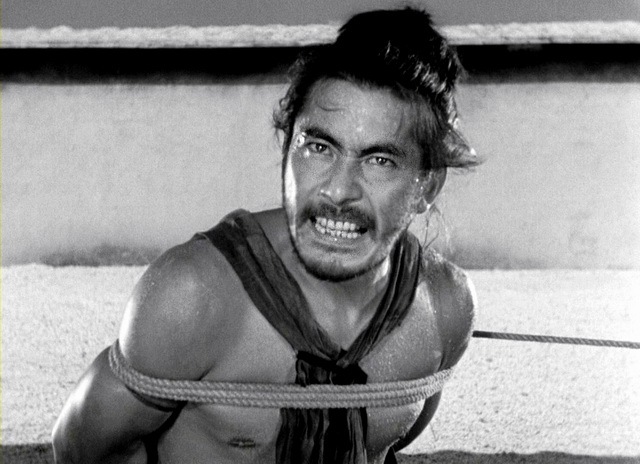 Within a single swift movement, Toshiro Mifune could show compassion, anger, regret and sadness, like his speech in “Seven Samurai” about the craftiness of villagers and their need to pillage and steal when no one is looking, yet it was the supposed-protectors, samurais, that made the villagers that way. This shining example of acting proved that Mifune was one of the greatest actors of all time. However, Toshiro Mifune is not my answer to the question at the beginning of this post. As captivating and enthralling as he was, there is one other Japanese actor that I would say is greater – Takashi Shimura. In many ways, Shimura is the Yin to Mifune’s Yang. Two immortal Japanese actors, with entirely different styles of acting. While Mifune was intense and loved to get in people’s faces, Takashi Shimura was often laid-back and spoke with his eyes and smile. While Mifune’s speech in “Seven Samurai” is a standout example of his acting ability, Shimura’s introduction in the same film stands out just as much. We watch as this old man, without even speaking, as an entire village surrounding him, as he cuts off his ponytail, shaves his head and simply asks for some food. We find out that a sacred thief has kidnapped a little girl and is held up in the town’s church, with a knife to the girl’s throat. Shimura’s plan is to pose as a priest, offering the man and girl some food, while trying to talk him down peacefully. Unfortunately, the thief resorts to violence and he quickly finds out that he is dealing with a deadly samurai. We see a man who has seen far too much violence for one lifetime, but realizes that it is often necessary to protect the innocent. 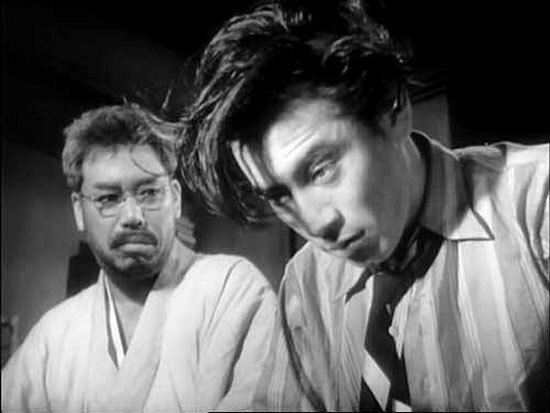 Rather than using his body movements to express himself like Mifune, Shimura uses the pauses between his sentences, as if he is contemplating how the situation will work out. This makes Shimura excel at quiet and often reserved characters, one’s who have a lot to say but know when and when not to speak. I would compare Toshiro Mifune’s acting to Robert De Niro, a man known for his hidden anger yet never loosing sight of his compassion for others. Both of these men could fly off the handle one moment and be sobbing a minute later. While Takashi Shimura’s comparison would be James Stewart, as they both had a tendency to play the every-man, a character that faces problems and conflicts that we all face in life. He shares our thoughts, our feelings, our anguish and our turmoil. The problem with comparing Mifune and Shimura is, as I said previously, they are two entirely different actors. While the two played opposite one another multiple times in films like “Stray Dog,” “Seven Samurai” and “Drunken Angel” (where oddly enough, the roles that Shimura and Mifune often play are reversed), trying to say which is better is like asking if Robert De Niro is a better actor than James Stewart. Part of this is because these two come from different time periods of Japanese filmmaking. 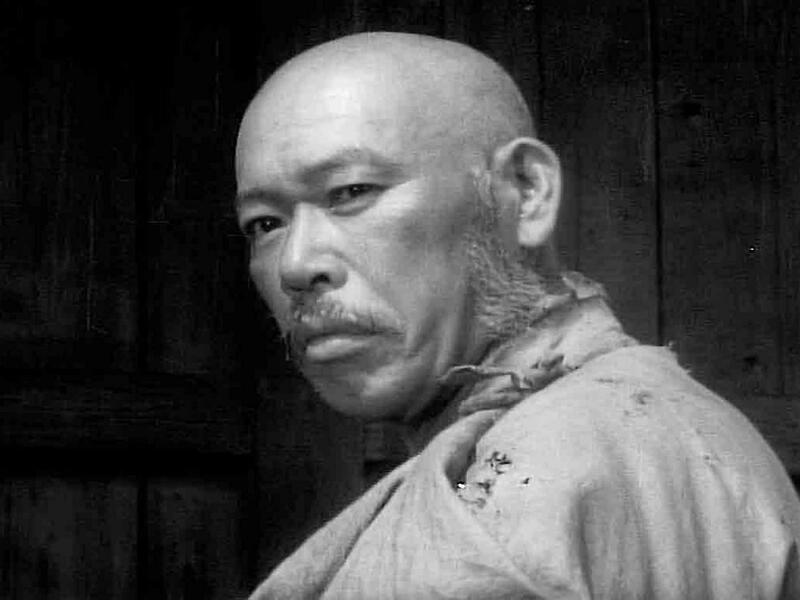 Shimura’s career began in the silent era in 1934, getting his big break in 1936 with “Osaka Elegy,” heavily dependent on the lack of audio and facial expressions. Mifune’s began in the late 1940s, after World War II, with his first major role coming in 1948’s “Drunken Angel.” By the end of the war, the Japanese film studio was in shambles, much like the country itself, and the Japanese people needed someone tougher and experienced to look up to, which Mifune exemplified. So with two different backgrounds of acting, distinct acting styles, and contrasting types of film genres they excel in, this makes comparing the two difficult. In a tale of identity, regret and longing for a purpose in life, Shimura gives one of the most moving performances I’ve seen. The strange thing about this role is that Shimura hardly says anything for the first third of the film, and can’t seem to find the right words for the rest. Instead, we rely on the utter shock on his face as he learns that he has six months to live, his pools of sadness when he realizes that he hasn’t done anything with his life, and the sparks in his eyes when he understands that it is not too late to make a difference in the world. Takashi Shimura’s role paints a picture of a man who has wandered for thirty years, and only recently found the beauty of life, wanting to share that beauty with the world before it is too late. 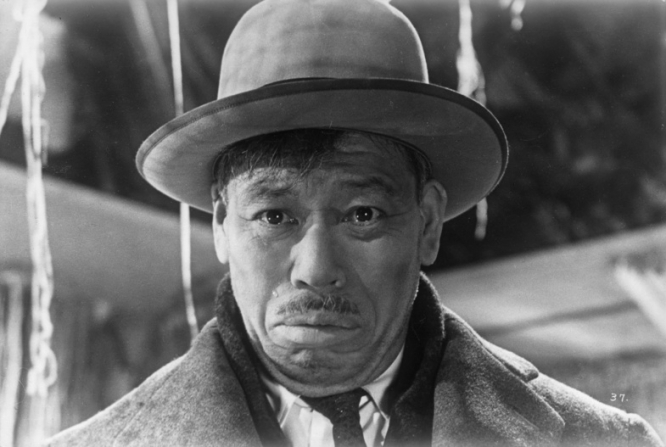 If it were any other actor in “Ikiru,” the film would not have been half as good. Shimura’s touch of sincerity and compassion makes “Ikiru” one of the greatest films I have seen. 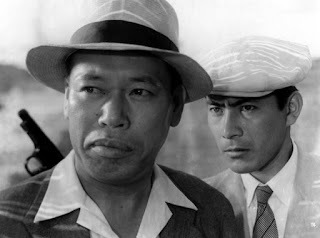 For me, that same compassion and kindness is what puts Takashi Shimura just above Toshiro Mifune. They’re both actors I don’t mind putting in the Hall of Greats, and as the two most notable Japanese actors, but I’ve always had a soft spot for the man who could reduced me to tears with a nothing more than a smile and glimmer of hope. I completely agree with ecery point you make in your review of mifune vs. Shimura. Nothing much to add but a couple of remarks. (By the way, I loved your comparison de niro and steward. James steward is one of best actors and it just struck me how well you put shimura as steward. Absolutely true. ) for me, mifune has great performances, obviously one of the giants of world cinema history and artistry. But high and low performance, the shoe maker / the businessman performance was his best performance, the top. For shimura, naturally ikiru is the best performance. It was unfortunate that mifune and kurusawa ended their partnership, it was a loss for cinema lovers. I watched many kurusawa directed movies, and the triplet collaborations between mifune, shimura and akira..they are masterpieces..i also watched major pieces of stewart…i agree with your analysis..i also adressed the same question but could not have decided on the answer to vs.? They are talents..both of them…mifune is a hard working actor, he needs muscle to perform, i.e. hidden fortress. Shimura has played roles not that much muscle/physical energy but roles that require a facial/bodily posture capability to create emphaty, feeling bond, a direction to the hearts of people. Mifune is a talent that transmits the emotions of the role/character to the hearts of the audience plus a hard working bee, labourer in terms of physical movements, actions, kinetic energy, tempo, worker, athlete exercise, potent, etc. Great piece you have written…thank you..
Great article and I very much agree with your conclusion. Although the themes and issues of Kurosawa’s great film ‘Ikiru’ are in themselves very powerful, it is Takashi Shimura’s phenomenal performance that has made it my favourite film, and I have watched it many times. His singing of ‘Life Is Brief’ is one of the truly greatest and most moving scenes in world cinema.